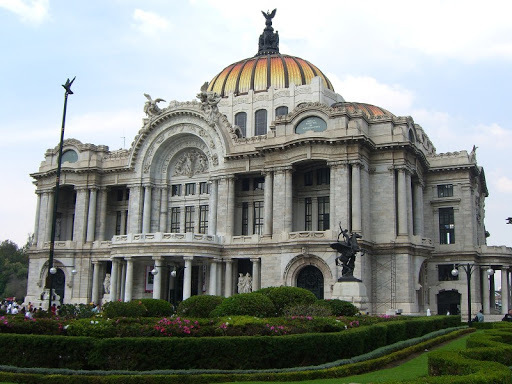 The Palacio de Bellas Artes is a must see in Mexico city. 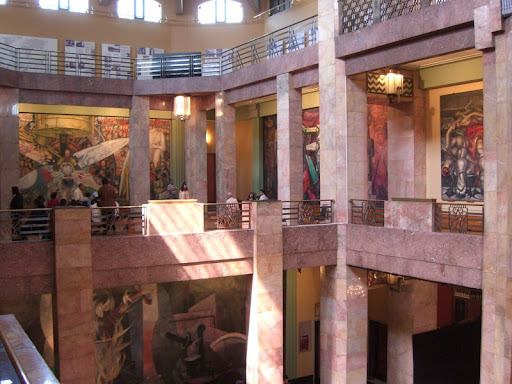 Situated next to the Alameda park in the Centro, it is a beautiful building inside and out. 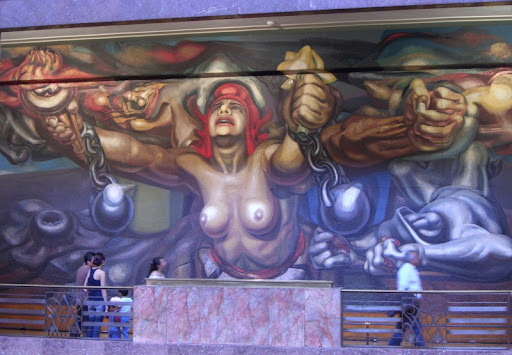 The second and third floors are ringed with huge murals, painted by the likes of Diego Rivera, David Siqueros, Rufino Tamayo and Jose Orosco. 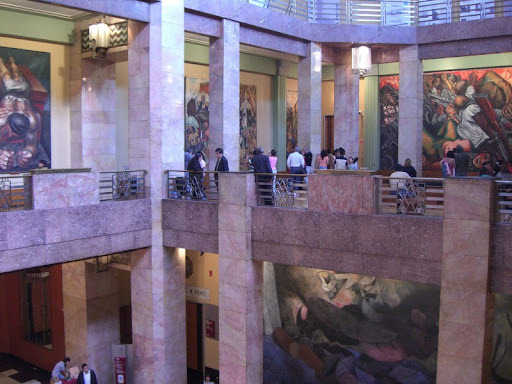 If you visit on Sunday, access to the murals is free of charge.